Gator Web has extended its range of industry leading web hosting packages by adding 3 new products running on Microsoft Windows servers. The Gator Windows Bronze, Silver and Gold products give personal and business users the same level of choice and reliability as the company’s exisiting Red Hat Linux based web hosting but running on the Windows 2008 Server OS. Gator Windows Bronze is the starter package offering everything needed to create a first web presence for just £1.99 per month. Gator Windows Silver is the mid-range Windows package and provides database and lots of diskspace and bandwidth. Gator Windows Gold is the ultimate package, giving unlimited diskspace, bandwith and more! Visit the Gator Web hosting site to find and more and order your new Windows hosting package. We know that the project-extranet platform allows businesses of all types to operate more efficiently internally and improve the service offered to customers externally and with our ability to create bespoke Apps we have created some truly unique offerings for customers. Now we have brought that thinking to the recruitment sector with project-extranet for recruitment agents. We have long believed that recruitment agents could seriously improve the service they offer by making use of project-extranet shared workspaces. For each position being filled, create a project and populate it with the candidates being put forwards. Use all the collaboration tools to arrange interviews, stimulate discussion about candidates and manage candidate databases. So by working closely with a number of recruitment agencies we have developed a series of Extranet Apps designed specifically for the recruitment business. These both improve internal operational efficiency and significantly enhance the service you offer your customer. Candidate Wall: Post your candidates to a shared workspace to allow your clients in to access, rate, review, download cv’s, request interviews, short list and reject, all at the click on a button. Candidate Database: Manage your candidates in one central location. Capture their history, store documents, keep track of their status. Task management: Process driven interview, rejection, shortlisting and follow-up tasks help your staff stay on top of their job and help you get more done with less. Gator Web Design has now employed a Joomla web design specialist. We can quickly turn around new Joomla web design projects or update or amend exisitng Joomla websites. We plan to add our own videos including a tutorial how to fully use our easy to use home grown Gator Web Editor website content management system. It’s been a busy few months here at project-extranet. We’ve been working hard adding new features to our project portal collaboration system to make it more useful to your business, easier to use and faster to setup. We want every business to benefit from using our collaboration system. Whether it’s to act as a project portal to keep your team working smoothly and efficiently, or to publish information securely to your clients, an extranet facility improves the professionalism and services-levels of your business while increasing team productivity. Now is the perfect time to bring your company up-to-date and with project-extranet you can using your own branded extranet solution within minutes. Document and file sharing is central to extranet collaboration and with project-extranet we’ve just made it easier. Now, in addition to the standard file upload, you can also email documents directly to your extranet. Handy when you just want to forward something from your inbox, useful if you want someone else to file something for you, and efficient if you need an external system to push information into your extranet. The extranet can even convert the email body to pdf for you. Find out more about how extranet email filing can work for you. We all need to stay up-to-date with our projects and so we’ve introduced ‘Facebook / Twitter’ style newsfeed. From document uploads and downloads, tasks, calendars and meetings, you can see now see everything that is happening in your projects in a convenient and modern form by bring some of the power that has made social networking such a sucess into your business. Filter to show news item since your last visit or just today. It’s a great way for everybody to stay on top of things and bring your projects to life. We take security very seriously and now we’ve given you even more control over your folder permission levels by enhancing the security options you have over your project folders. Now in addition to the existing access levels of ‘owner’, ‘contribute’ and ‘readonly’, you can set much finer controls. Specify access rights all the way down to the individual project member level. The ability to set which folders can can be seen, written to and modified on a user-by-user level gives your extranet the flexibility and power to deal with a whole new set of usage scenario’s. And there is so much more! We have a host of other new features as well. From multi-colour folders, user profile pages meeting notes and task management if you haven’t already setup your own branded extranet now is the time to take advantage of our our free, no quibbles 30 day trial. If you would like to find out more, visit our website (www.project-extranet.com). We at Gator Web Design in Reading love WordPress and can create you a lovely bespoke theme, such as the one we have just done for Beeston Free Church in Nottingham. We can also convert Photoshop .psd files into WordPress themes. 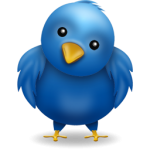 Gator Web is an expert with Twitter and can help you gain more followers rapidly. 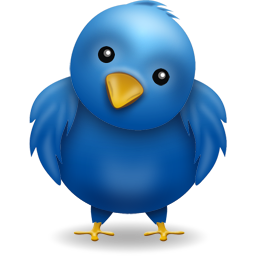 We can undertake professional twitter campaigns on your behalf to gain your website more traffic and your business more customers. Twitter suspended the popular twitter application Ubertwitter because it said that it had violated some of twitter’s terms and conditions. These violations have been removed and Ubertwitter is back, except it has been renamed Ubersocial. You can download apps for iphone, blackberry and now desktop. Is it just me, or does the internet have a special feature that makes emails with invoices and requests for payment go missing more often that those without? Requests for payment are sent off in to the great unknown, never knowing if they have arrived safely or have been consigned to the great junk mail folder in the sky. Whisper it quietly, but I have heard rumours there is some great email monster out there that feasts on unopened invoice pdf documents! Who knows, but making sure the ‘accounting interface’ between yourself and your customers is a clear channel is one of the most important things in helping you manage your cash flow. It’s also something that an extranet, such as project-extranet can really help you with. It’s not all about you either. Another advantage extranets give is to allow your clients access to their records, accounting or otherwise, 24 hours a day, 7 days a week. This makes them happy as they can work according to their timescales and get things done when they need to (which in the case of this article is paying you, something we really want them to do!). At the same time it gives your business a real efficiency boon; you are servicing their requests without tying up any administrative resource. You are doing more, with less. If you already have an extranet setup then you can obviously skip this test and move straight to the next part. Otherwise first things first, let’s get you setup with an extranet. The best place to do that is over at www.project-extranet.com where they offer a free, no quibbles demo account, simply click this link and follow the instructions, www.project-extranet.com/try/. Once you have your extranet up and running, create a new project using the Customer Accounts Template. Research commissioned by Google found that the internet accounts for 7.2% of the UK’s gross domestic product (GDP). In terms of economic sectors, it would be the UK’s fifth largest, said the report from the Boston Consulting Group (BCG). This would make the sector larger than the construction, transport and utilities industries. Approximately 60% of the UK £100bn a year figure is made up from internet consumption (the amount that UK internet users spend on online shopping, the cost of their connections and devices to access the web). The remaining 40% comes from investment in the UK’s internet infrastructure, government IT spending and net exports. The report, The Connected Kingdom: How the internet is transforming the UK, says that the internet’s contribution to GDP is set to grow by about 10% annually, reaching 10% of GDP by 2015. The UK, according to the report, is the world’s leading nation for e-commerce and for every £1 spent online to import goods, £2.80 is exported. “This is the opposite of the trend seen in the offline economy, which exports 90p for every £1 imported,” the report says. The report found that internet companies play an important role in employment with an estimated 250,000 people being employed. Small businesses that actively use the internet report sales growth more than four times greater than that of less active companies. The report also attempts to compare the UK to other countries in the Organisation for Economic Co-operation and Development (OECD). Under its scoring system, the UK ranks sixth, above Germany, the US and France. The highest ranked country is Denmark. “The internet is pervasive in the UK economy today, more so than in most advanced countries,” said Paul Zwillenberg, partner with BCG. Matt Brittin, managing director of Google UK, said: “The internet is a central pillar of the UK’s economy. “The sector has come of age, and with great prospects for further growth the UK internet economy will be vital to the UK’s future prosperity,” he added.